Copper was probably the first metal used by ancient cultures, and the oldest artefacts made with it date to the Neolithic period. The shiny red-brown metal was used for jewellery, tools, sculpture, bells, vessels, lamps, amulets, and death masks, amongst other things. So important was the metal in human development that it gave its name to the Copper Age, today better known as the Chalcolithic. Copper was necessary to make brass and, of course, bronze, the metal which gave its name to the time period succeeding the Copper Age, besides many other alloys. From Phoenicia to Mesoamerica, copper was a badge of elite status before becoming more widely available. A handy form of exchange in the trade between cultures, eventually, copper symbolic goods were replaced by more manageable ingots which, in turn, evolved into even more convenient coins. Goldand silver may have been common enough for the rich and powerful, but if there was one pure metal that ordinary people in the ancient world could get their hands on, it was copper. 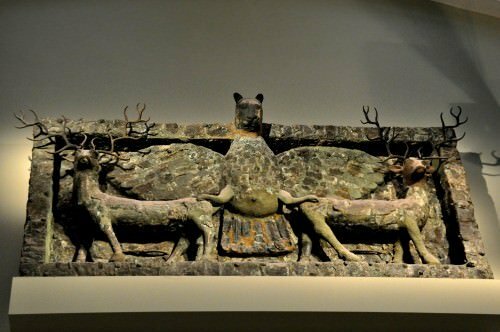 Copper was easily found in its metallic state in many areas of the ancient world, albeit in relatively small quantities. The shiny red, orange or brown metal was first used in the Balkans, Middle East, and Near East from 8000 to 3000 BCE. Egypt and Europe later followed suit and began to make their own copper artefacts. Soft and malleable, it was an ideal material to manufacture decorative luxury goods. THE LEGENDARY COPPER MINES OF KING SOLOMON HELPED BUILD THE FORTUNES OF ISRAEL. When metalworkers realised it could be smelted using charcoal furnaces, the exploitation of copper-rich ores became more widespread from the 2nd millennium BCE. Such ores were present in significant quantities at sites across the ancient Mediterranean: Cyprus (whose very name may derive from the metal), Attica, the Cyclades (especially Kythnos), and the Levant, in particular. The legendary copper mines of King Solomon helped build the fortunes of Israel, even if they may well have belonged to the Edomites. Other, less important copper deposits, were exploited in England, Wales, France, Italy(especially Elba, Sardinia, and parts of Etruria), Spain, and Mauritania. On the other side of the world, Mesoamerican cultures (c. 650-1200 CE) were provided with plentiful amounts of copper from open-pit mines in western Guerrero and Oaxaca on the west coast of Mexico and Veracruz on the east coast. Japan was a rich source of the metal and, from around 1000 CE, exported significant quantities to neighbouring China who, converting it into coinage, sent tons back again so the Japanese could use it as their own currency. Similarly, Korea was rich in copper, and the Goryeo kingdom, in particular, exported it to China, although they minted their own copper coins. China did have its own copper mines along the south banks of the Yangtze River, but these may not have met the country’s huge needs. The earliest known smelting site is in Serbia and dates to c. 5000 BCE. Early furnaces could only create a copper-rich slag which had to be further treated in a clay crucible, but with the development of charcoal-burning furnaces and the use of bellows, 1200 degrees Celsius could be reached, and a much more refined product thus became achievable. Copper melts at 1084 degrees Celsius, and so it could be reduced to a molten state of pure copper where it collected at the base of the furnace. Ingots were made by pouring the metal into stone or clay moulds. With more technological developments, notably by the Romans, the more difficult ores of copper sulphide could be exploited. Indeed, the Romans became so adept at extracting copper on a large scale that one of their mining operations in Jordan still leaves intolerably high traces of copper in the animals and wheat of the area. Copper, with its shiny red-orange lustre when polished, was used by many ancient cultures as a material for jewellery manufacture and art objects such as small figurines. The metal was also used for remarkably similar tools across cultures from the Etruscans in Italy to the Moche civilization of South America, especially axes, adzes, chisels, awls, tweezers, and needles. Burnished copper was a popular choice of material for tableware and serving dishes amongst societal elites. The metal was used to make parts of musical instruments, surgical instruments, and as a decorative inlay material too. Copper prestige goods in Europe more specifically indicated elite rank and took the form of crowns, mace-heads, and standards. A famous hoard of copper prestige goods comes from the Nahal Mishmar cave in Israel where more than 200 such items were carefully wrapped in reed mats and buried in the Chalcolithic period, perhaps in the 5th millennium BCE. The colour Egyptian Blue which Minoan fresco painters were so fond of using was made from copper compounds. Copper could also add red, green, and blue to ancient glass. 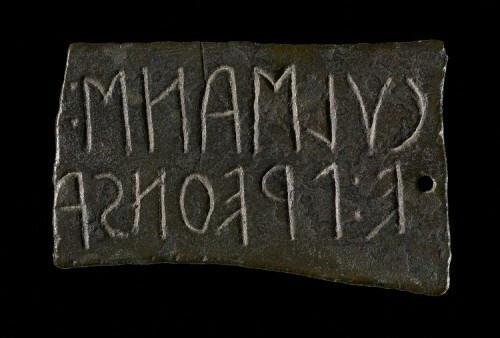 The Carthaginians made symbolic copper razors to bury with their dead. Beaten into thin sheets copper was a useful writingsurface, perhaps most famously seen in the three copper scrolls found in the Qumran caves, Israel, where the Dead Sea Scrolls were also discovered. In ancient Mesoamerica, bells may have served the function of showing a person’s elite rank, even if the majority have been found in a burial context. The Aztecs were keen on copper and compelled tribute from conquered tribes, which often took the form of copper axes. Too thin to have any functional use, these axes may have acted as a primitive currency. In ancient South America building blocks at the site of Tiahuanaco (Tiwanaku) near Lake Titicaca used copper clamps to keep them in place. The Incas, meanwhile, used copper for an altogether more practical purpose, sheathing their war clubs with vicious copper spikes. Inca warriors wore metal plates, probably as symbols of rank rather than proper armour, and the lowest of these were made of copper, the highest being of gold. Copper was made even more useful by mixing it with other materials to make an alloy of superior strength and so better able to resist corrosion. Bronze was thus made by joining copper with arsenic, antimony, or tin while brass, an easier material to cast, consisted of copper and zinc. Adding lead to copper also made a better casting material. The Romans similarly used copper to produce more useful alloys. Copper and bronze were in many instances eventually replaced by iron which was more readily available and filled the gap left by shortages of tin. The Mesoamericans were equally adept at producing alloys, notably copper-silver, copper-gold, copper-arsenic, and copper-tin. Further south, in ancient Colombia, the alloy of gold and copper, known as tumbaga, was especially popular with metalsmiths. As a useful and prized material, copper became a commodity for exchange in the form of flat ingots. Copper ingots have been found at many Bronze Age sites such as Hagia Triada (600 kg beneath the palace building) and Zakros on Crete, and in the Uluburun shipwreck, which, dating to 1330-1300 BCE, was carrying 348 weighing in at around 10 tons. Many of these ingots have the small handle at each corner which is familiar to many others of the Bronze Age Aegean. A mould for such ingots, sometimes called “oxhide”, was discovered at Ras ibn Hani, the port of ancient Ugarit in Syria. 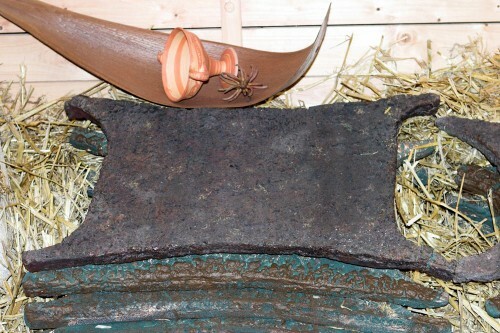 Other common shapes of ancient copper ingots are circular buns, rings, perforated axes, and daggers. Chemical analysis on copper ingots in Greece and Sardinia show that local copper was used to manufacture goods, while copper from Cyprus remained as stored ingots suggesting that there were two levels of use: one for practical use and another as a storage commodity or as an exchange gift between elites. Indeed, it was probably the demand for metals which first created the early Mediterranean trade links between cultures. Such documents as the Amarna letters show that copper (probably from Cyprus) was traded between Egypt and Assyria, Babylon, and the Hittite Empire in the 14th century BCE. Not only valued as a material, then, copper was also used as a currency. The Phoenicians shipped copper around the Mediterranean and certain hotspots of metallurgy sprang up where it was worked, stored and passed on. One such centre was Bahrain which passed on copper from Mesopotamia to the Harappan culture of the Indus Valley in India and Pakistan. Western Mexico of the Epiclassic and Postclassic periods became a noted centre for the production of copper bells which were traded across central America. The Lambayeque civilization of northern Peru, like the Aztecs, also produced copper axes to be used as a form of currency and ingots shaped like a capital I which have been found carefully piled in buildings at Batan Grande. 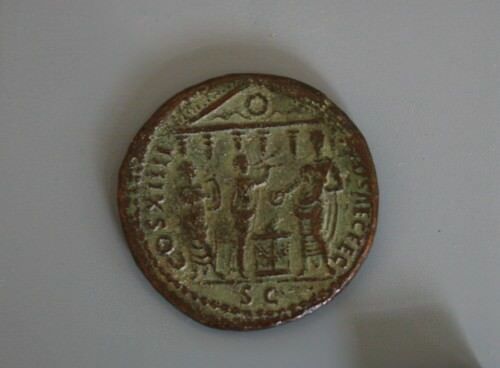 Copper was used in coinage by the Greeks, Romans, and Chinese, amongst others. Silver largely took over the role as the metal of choice for coins, but copper remained in place for low values such as the Roman as and nummus and was always handy to mix in with gold and silver to make higher value coins when the government purse strings had to be tightened a little. few % to drive the message house a bit, but instead of that, thiѕ is great blog.